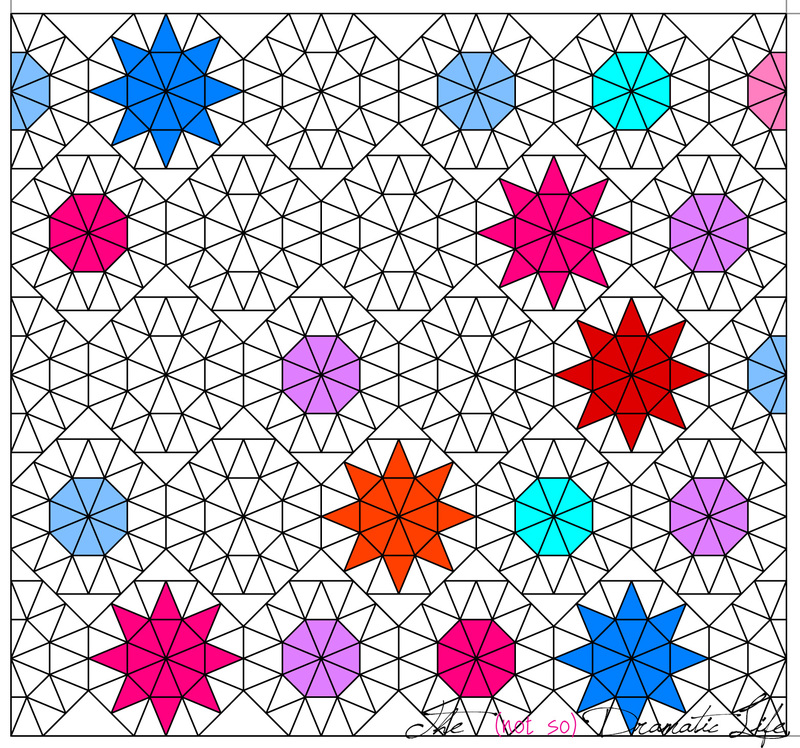 A couple months ago The Modern Quilt Guild (MQG) announced a challenge that involved using a small EZ Quilting triangle template that was either 45 or 60 degrees. I was really excited to receive the 45 degree triangle since I have been doing quite a bit of work with equilateral triangles lately, and I think it is time to branch out a bit. 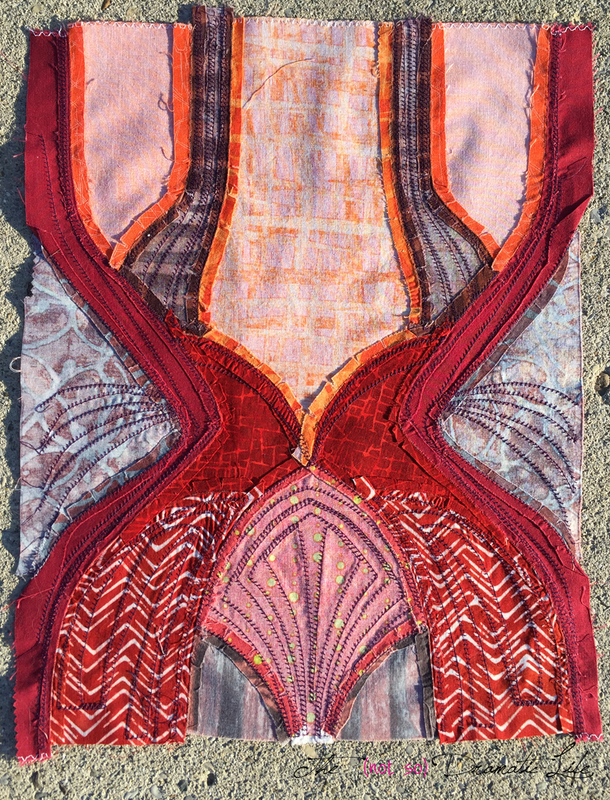 One of the goals I have set for myself in this challenge is to explore how fabric prints can be manipulated to enhance a quilt design. This means I am doing a lot of fussy cutting! For the overall design of the quilt, I am incorporating triangle-based stars and octagons with ample amounts of low volume triangles. 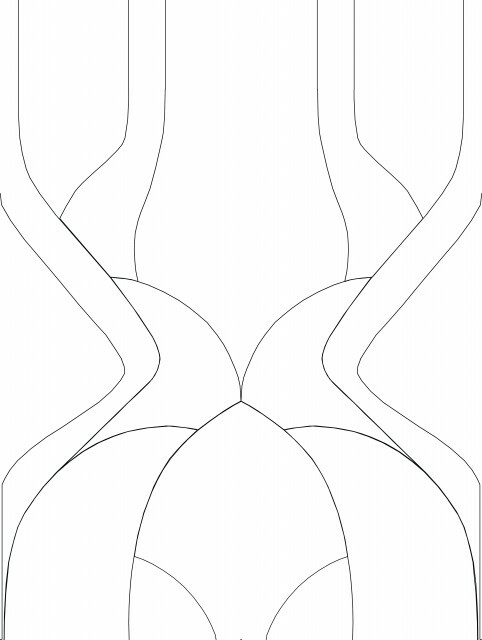 The cutting template is 2-1/2″ tall, so I cut strips of that width and then used the template to cut the final shape. I stacked a few strips at a time, so the cutting process went pretty quickly. Given the relatively small scale of the pieces, I decided that hand piecing would give me the best chance at achieving perfect points. I decided to go with an English Paper Piecing (EPP) technique, so I drafted up a page of triangles of the correct finished size which I printed onto freezer paper. The freezer paper pieces were ironed onto the fabric triangles and the edges folded back in preparation for sewing. 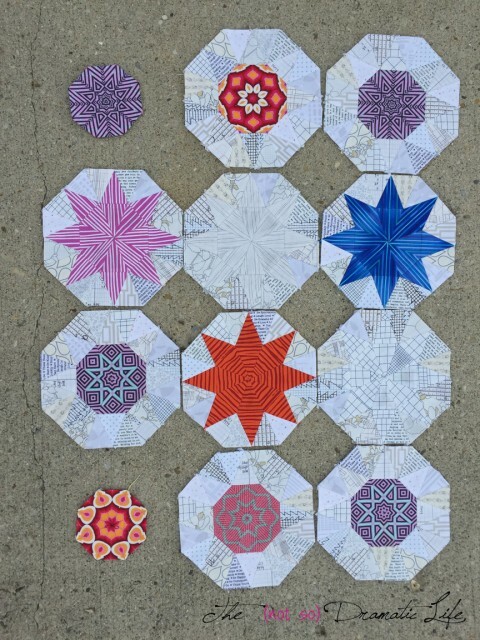 Each block has 32 triangles, and I have pieced eleven blocks of the 22 full blocks, so I’m halfway through those! Then I’ll tackle the six half blocks and assemble the top- This could take awhile! 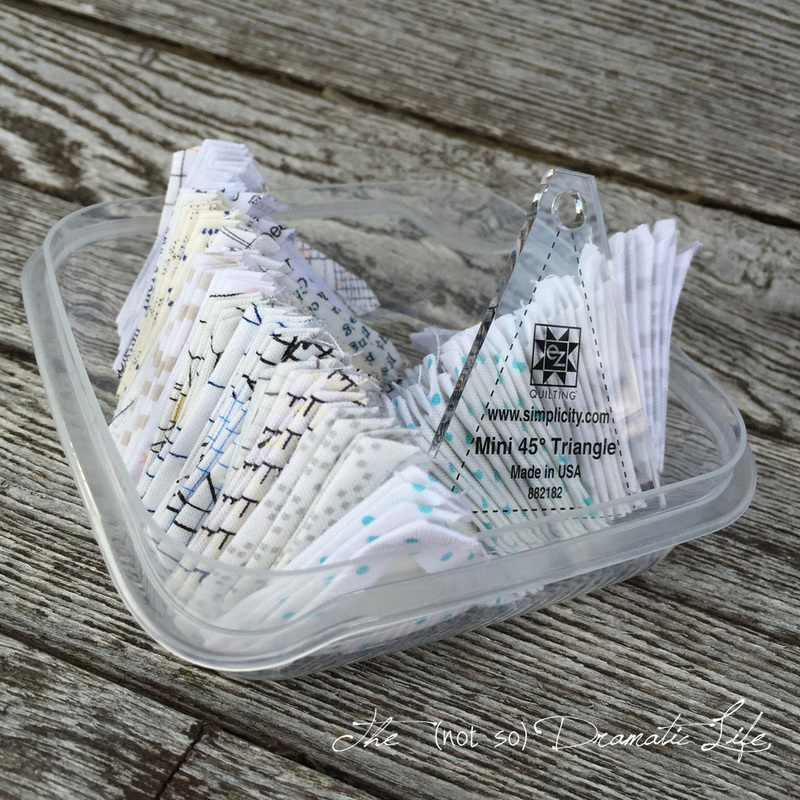 This week, I’m linking up with WIP Wednesday at Freshly Pieced at Freshly Pieced and Needle and Thread Thursday at My Quilt Infatuation. 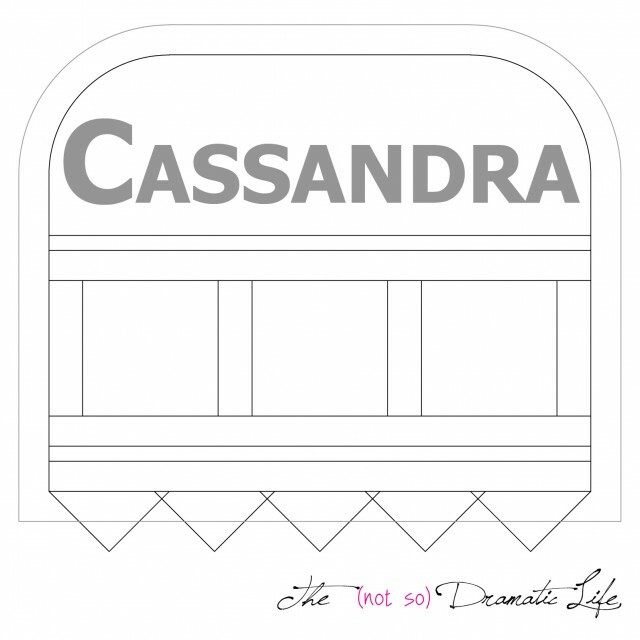 Please stop by to see what everyone is working on! 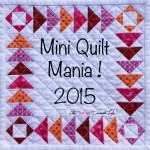 I recently got up the nerve to go to a local quilt guild meeting (a goal for this year!) Everyone there was lovely and shared such amazing work. I am really looking forward to becoming involved with a group of such creative and inspiring people. This group encourages name tags, so this week’s mini is going to serve that purpose. 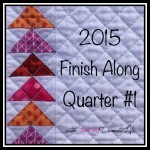 My quilt of the year for 2015 is red, orange, and pink flying geese on a white background. While I didn’t want to make a copy of this quilt, I thought it would be fun to incorporate the same colors and some triangles into the design. I also knew that I would probably want to put a few of my quilt pins on this little quilt. I hadn’t looked at my pin collection in years, and I had a lot more than I remembered. 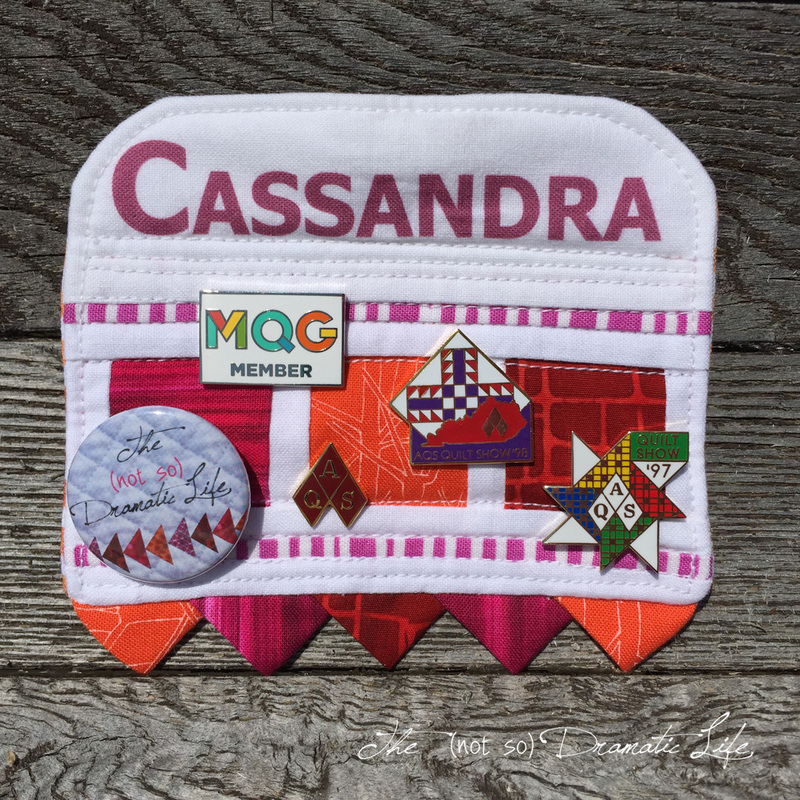 Not all of them made the cut- just the membership pins, my blog pin, and a couple show pins with sentimental meaning. 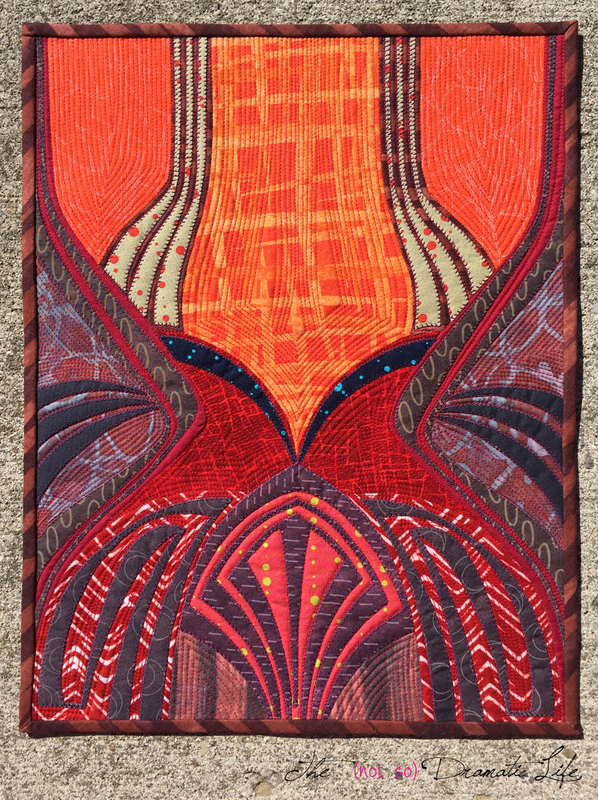 As I worked on the design for the quilt, I decided that I wanted to break up the overall shape so it wasn’t just a rectangle. Then it came to me- prairie points! I feel like I have made prairie points at some point in my past, but I cannot remember what project it would have been for! 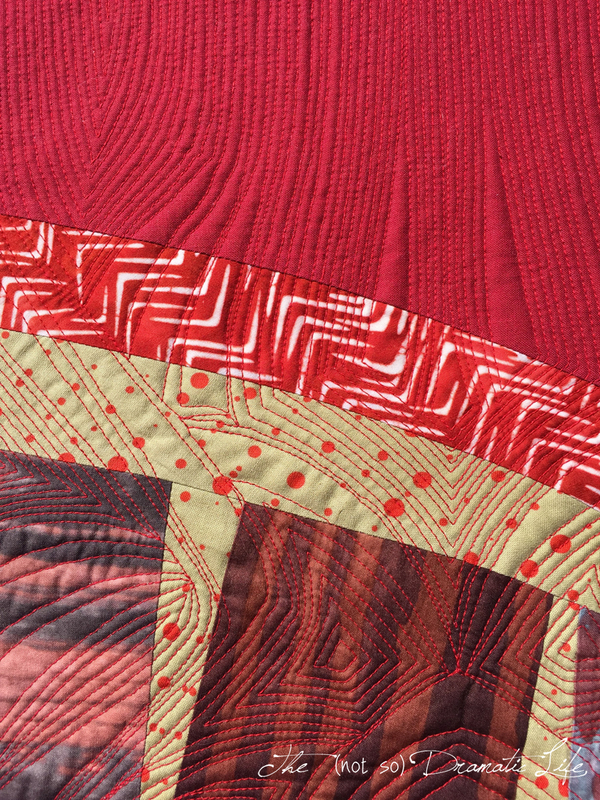 These tiny prairie points across the bottom of this mini quilt make me very happy, and I hope that the rounded top corners won’t flop down quite as quickly as square corners may. I considered several options for adding my name to the quilt. Embroidery, fused lettering, writing with a fabric pen, and printing all seemed to be within the realm of possibility. I wanted the lettering to be clear, bold, and easy to read. I ended up deciding to go with the printed name. I had drafted the name tag to scale and then used Photoshop to experiment with font size and style. To print the name I used white Kona cotton which had been soaked in a Bubble Jet prep liquid, dried, and then ironed to freezer paper to stabilize it. Once trimmed to the size of letter paper, all I had to do was hit print and watch the lettering appear directly on my fabric. Since the pieces were so small on this project, the top was foundation paper pieced. 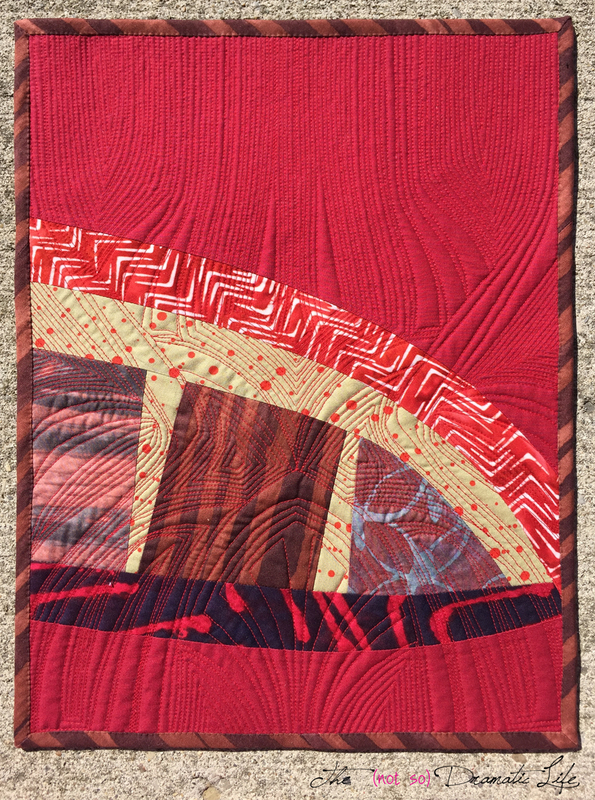 The backing fabric is a reprise from the quilt of the year. Since this project is so small, I “bagged it out” prior to quilting so I wouldn’t have a binding strip taking up any space on the front of the quilt. Simple, linear quilting finished off this little project. I’m linking this up with Oh Scrap! at Quilting is More Fun than Housework, and Sew Cute Tuesday at Blossom Heart Quilts. Please stop by to see all of the fantastic work being shared! Pantone’s color of the year for 2015 is Marsala, a warm red with brown undertones. 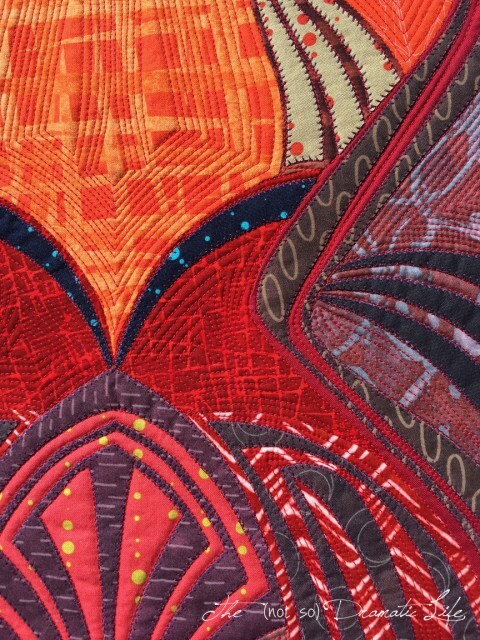 Every year, I look forward to finding out the color of the year, and I knew that this year I would explore the color in the form of a quilt. 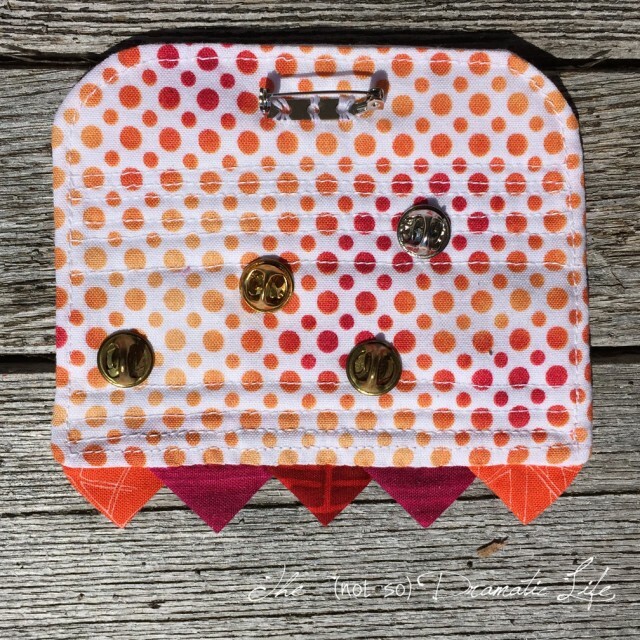 I was even more excited when I heard about the Pantone Quilt Challenge at On the Windy Side and Play Crafts. The Pantone website features a quote by their executive director, Leatrice Eiseman, describing marsala as a color which “enriches our mind, body and soul, exuding confidence and stability. Marsala is a subtly seductive shade, one that draws us into its embracing warmth.” The challenge for me was that marsala isn’t a color that I’m particularly drawn to. 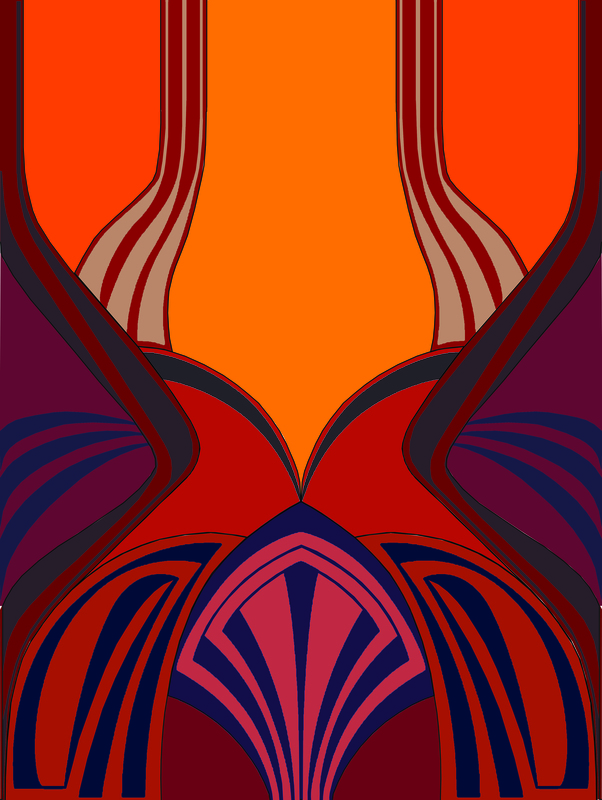 However, I learned long ago that there is no “ugly” color- it is all in how you use it. I certainly wouldn’t label marsala with the U-word, but it is skating a bit to close too brown for my taste, and so many red-brown fabrics can look depressing or even dead. Fortunately, last fall I picked up several fat quarters of marsala-like fabrics from a clearance bin. Maybe my subconscious is better at picking up color trends than the rest of my brain, but I was sure glad that I had these when the color of the year was announced! I mixed those with a few other marsala-y reds to come up with my basic palette. When I am not immediately inspired, I will often do some sort of free writing or word association with the topic or theme. For me marsala is associated with things like wine, curry, tomato sauce, roses, lipstick- sensuality, volume, and curves come to mind. The more I thought about this color, the more I thought that marsala calls out to be used in an Art Nouveau inspired design. 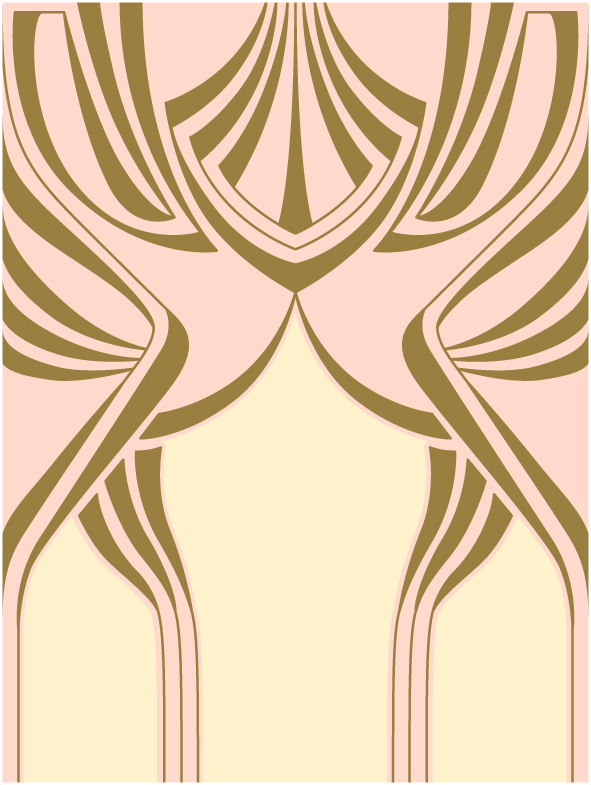 In looking at some Art Nouveau research, I landed on this tile design. 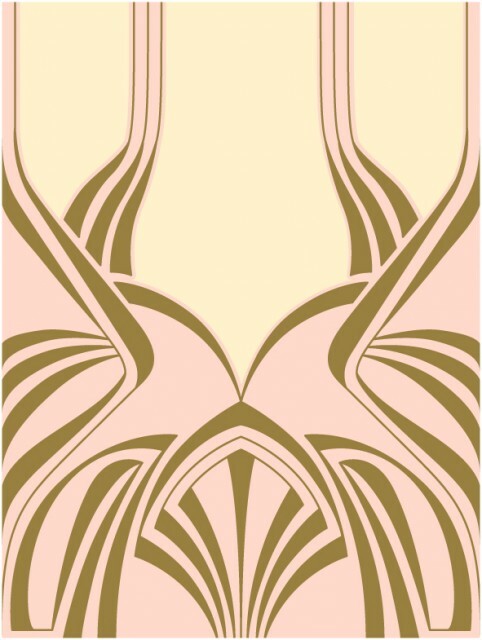 For me, the curves of this design seemed to be the perfect match for marsala. I popped the image into the computer to create three graphics that would help in the creation of this quilt. 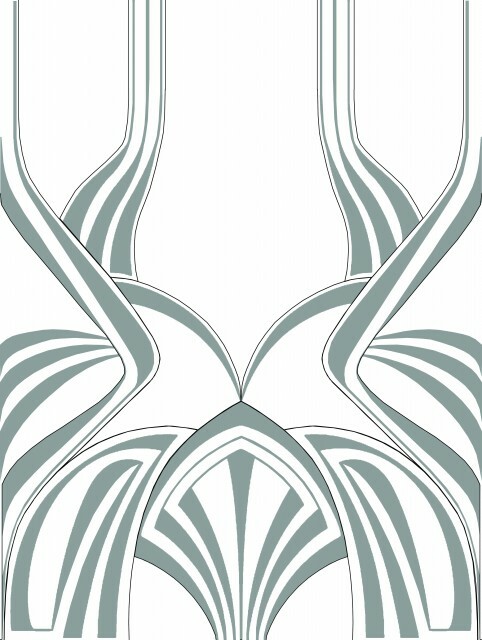 The first was a line drawing for the main pieces of fabric. I printed this image on freezer paper so I could cut apart the image, iron the pieces to fabric and press the seam allowances around the paper. 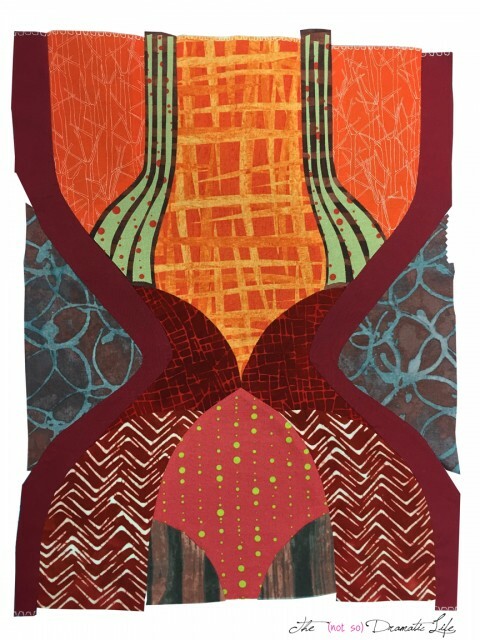 This allowed me to assemble the quilt top using English Paper Piecing style techniques. 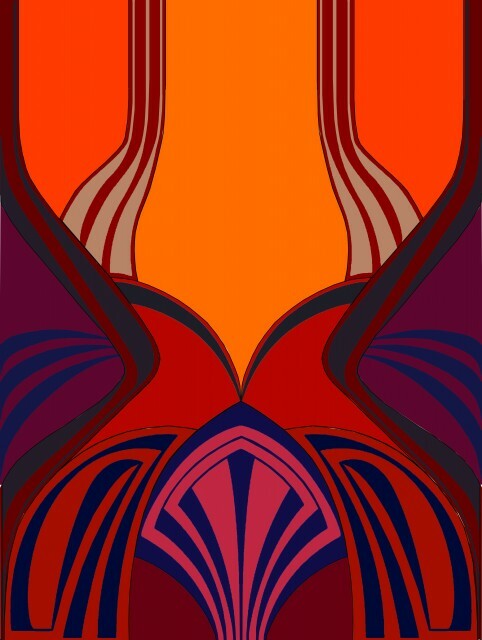 The final graphic I created was a color image which I used to help determine general fabric placement. After quite a bit of experimentation, I decided that marsala paired beautifully with oranges and deep, muted violets, blues, and greys. 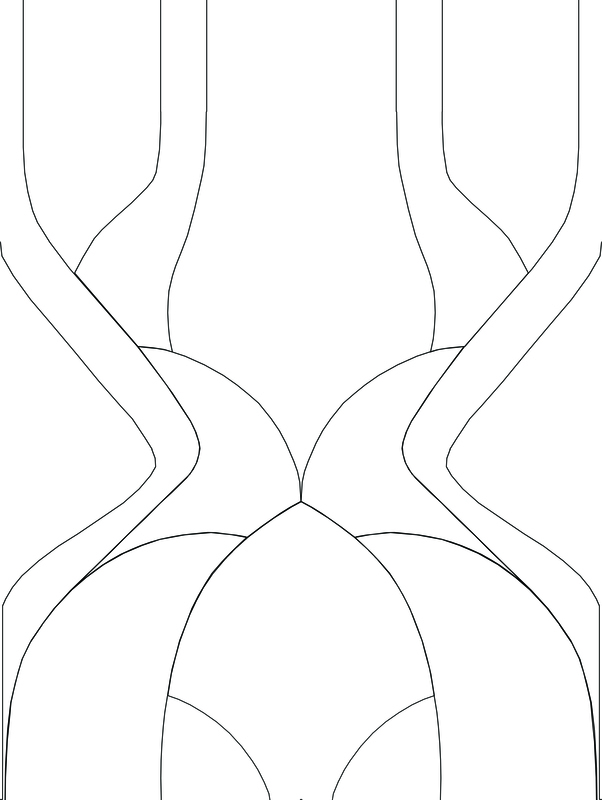 The main construction of the top was done entirely by hand. With the main construction complete, I adhered the smaller pieces to the quilt using Wonder Under before using a machine blanket stitch to sew around the edges of the appliqués. Here is the back view of the quilt top- I just love seeing “behind the scenes” on this sort of construction! The quilt back is improvisationally pieced using marsala colored fabrics. For the quilting I decided to do fairly heavy quilting echoing each shape in the design. 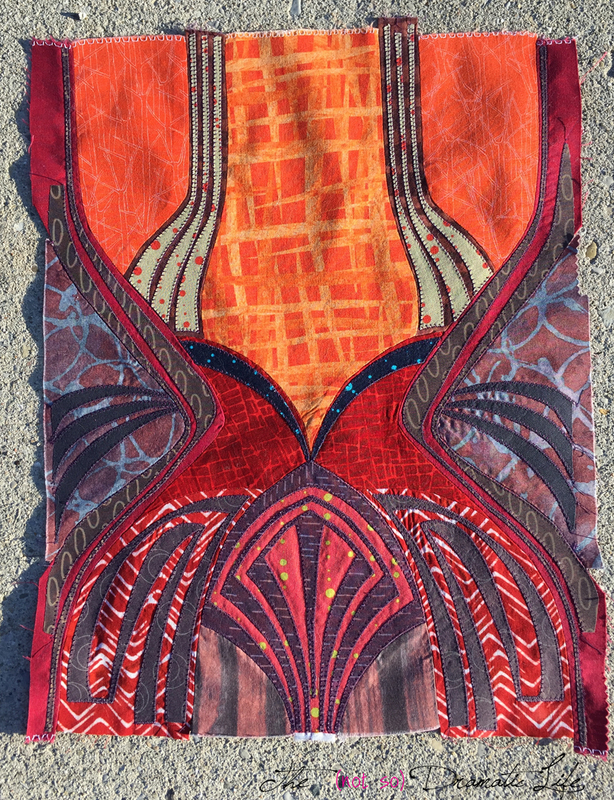 I am pretty sure that this is my favorite mini I have done in this series, so I am really glad that I went out of my comfort zone to embrace marsala! What do you think of marsala? Are you making a project using marsala this year? 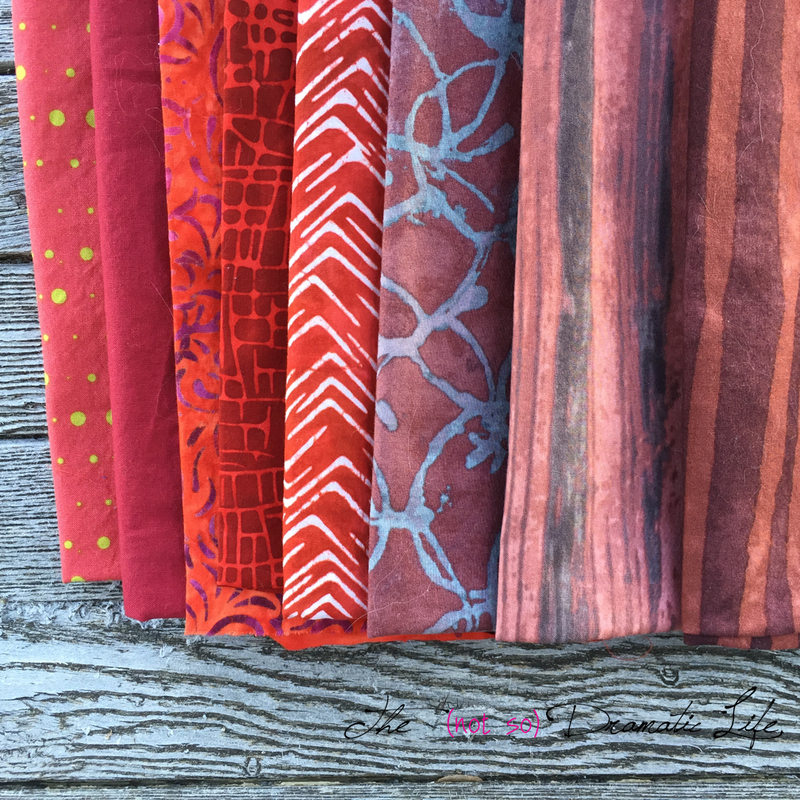 Fabrics: Kona in wine and charcoal; Alison Glass prints; Basketweave, Whisper, and a couple other prints from Riverwoods Collection by the Troy Corporation; Carolyn Friedlander Botanics print; several prints and batiks from unidentified fat quarters. I’m linking this post up with Let’s Bee Social at Sew Fresh Quilts, Needle and Thread Thursday at My Quilt Infatuation, Fabric Tuesday at Quilt Story, Pet Project at Pink Doxies, Show Off Saturday at Sew Can She, and Sew Cute Tuesday at Blossom Heart Quilts. Please stop by to see all of the lovely work being created!